Share your grower story with your customers. Use a newsletter, poster, social media – share what local foods means to you and your business. Have a place to share videos? Check out OSU Extension U Tube Channel with a variety of local foods topics https://localfoods.osu.edu/resources. Are you a fruit or vegetable grower? Share the Farm to Health Series: Maximize Your Nutrients informational cards with consumers https://localfoods.osu.edu/maximizenutrients. Thank your customers for celebrating local foods week by choosing local products. For example, Michelle Weber, Weber Ranch LLC uses the following acknowledgment with customers: "Thank you for using your local food dollar with us” as Weber Ranch recognizes that the customer is seeking out local, sustainable food sources. 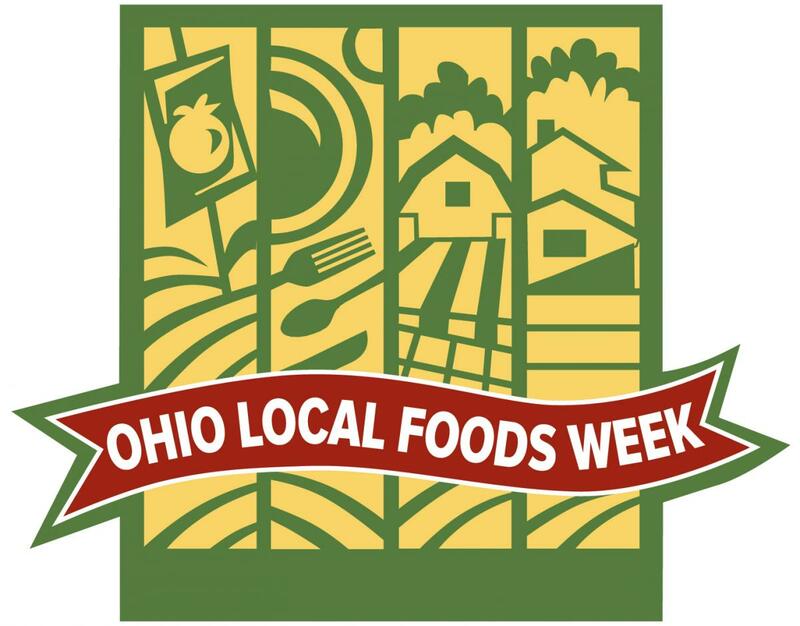 Share photos of your production on our Facebook page at https://www.facebook.com/ohiolocalfoodsweek or on Twitter at https://twitter.com/OHLocalFoodWeek (#localfoodsOH). Encourage customers to participate in the $10 local food challenge at https://localfoods.osu.edu/ohio-local-foods-week/take-challenge. If you serve local food as part of a meal, determine a feature menu item to celebrate and highlight during Ohio Local Food Week. Host an open house at your business to highlight your connection with local food. Organize a food day where food trucks and farmers all converge for local employees to enjoy a variety of lunch options and fresh food to take home. Sell local foods? Highlight the locations, growers and producers of the local food products. Sell other products that complement local foods? Local flowers, pottery and garden tools can all go together with a local meal. Thank your customers for celebrating local foods week by choosing local products. For example, Michelle Weber, Weber Ranch LLC uses the following acknowledgment with customers: "Thank you for using your local food dollar with us." For Weber Ranch recognizes that the customer is seeking out local sustainable food sources. Host an OSU Extension worksite wellness program for your employees http://fcs.osu.edu/workplace-wellness. Participate in the $10 local food challenge and encourage your friends to join at http://go.osu.edu/olfwpledge. Where do you find local food? For a list of Ohio online food directories, visit https://localfoods.osu.edu/resources/ohio-local-food-directories. Local Foods, Does it Matter What You Eat? http://www.ohio4h.org/sites/d6-ohio4h.web/files/publications/documents/SelfDetermined/365_10_Local_Foods_2015.pdf. Visit a farmers’ market or farm stand. Eat at a restaurant serving local food. Check out a new book on food or recipes at the library. Visit and tour a community garden or farm. Can, freeze or dry some local produce. Use updated, researched recipes and methods. http://fcs.osu.edu/food-safety/home-food-preservation and http://nchfp.uga.edu/. Participate in a local community nutrition class http://fcs.osu.edu/nutrition or other OSU Extension class (http://extension.osu.edu/ ). Spoken Event, an evening of stories about a topic such as “you are what you eat.” The event could be as formal as selling tickets as a fundraiser and hosting it in a historic theatre with a panel of judges to choose three winners of the best stories or it could be as simple as a gathering of people and a hat to draw names to take turns to tell any story related to the topic of food. There should be an agreed-upon time limit for each speaker and someone to keep time and/or emcee the event. To see more information about the food-related Spoken event held this spring in Toledo, Ohio, visit http://ohiotheatretoledo.org/event/spoken-an-evening-of-toledo-stories/ This event in Toledo also featured local foods for refreshments such as homemade gourmet jellies, cheese and crackers, popcorn and locally made cotton candy. Organize a “local” farm tour – tours could be at a traditional rural farm, an urban agriculture site, community gardens, summer school gardens, a Community Supported Agriculture, etc. For some great ideas of tours across the state in 2016, check out the Sustainable Ag Tour Brochure. Promote local food topics and resources at scheduled programs that week. For example, if you are hosting a nutrition class, mention what produce is in season and where it is available for a reasonable cost. Promote the $10 Ohio Local Food Challenge in your community at https://localfoods.osu.edu/ohio-local-foods-week/take-challenge. Host a food summit https://localfoods.osu.edu/news/planning-food-summit-our-templates-can-help. Libraries – display on local food topics from agriculture to home food preservation to cookbooks.